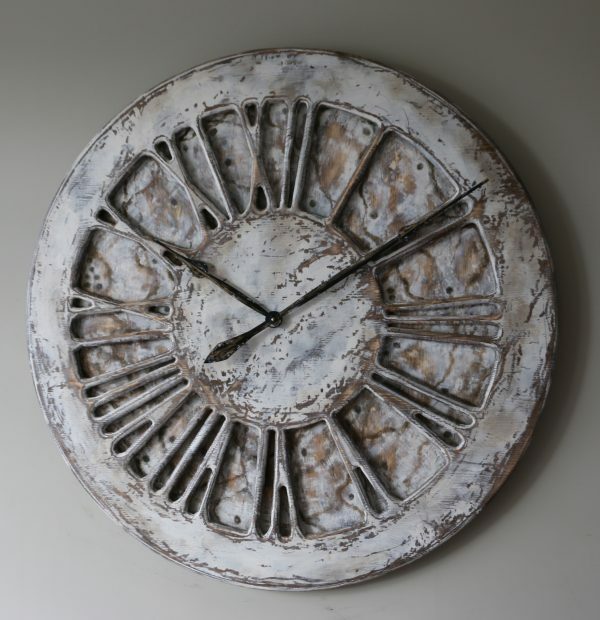 Extra large Shabby Chic clock in white that would bring distinctive nature to your interiors. 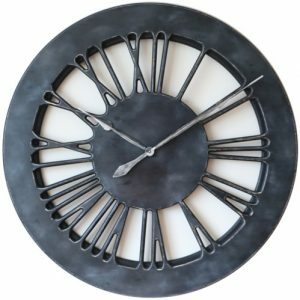 Globally unique design that you won’t find in a shop window or anywhere else online. Sometimes it is really difficult to come up with a great idea that would add some “wow” factor to you home. 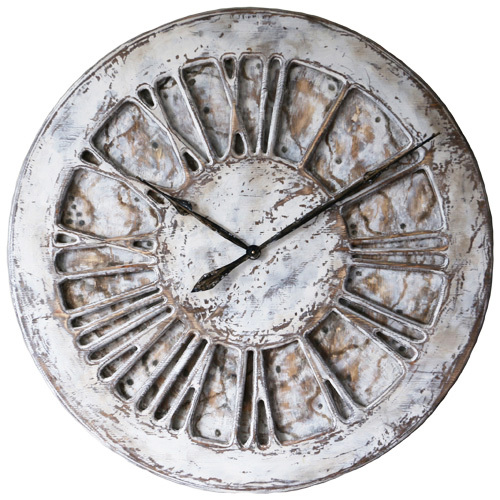 This stunning and unique Shabby Chic clock with beautifully hand crafted Large Roman Numerals may be what you were looking for. 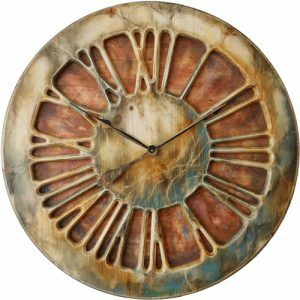 It would certainly blend well with many extravagant interiors providing strong statement to your guests or visitors. 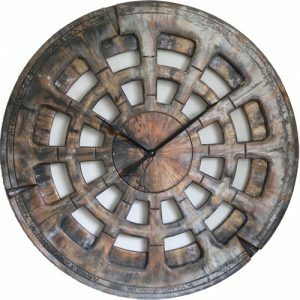 Like all other custom made timepieces in our shop it is a globally unique design. 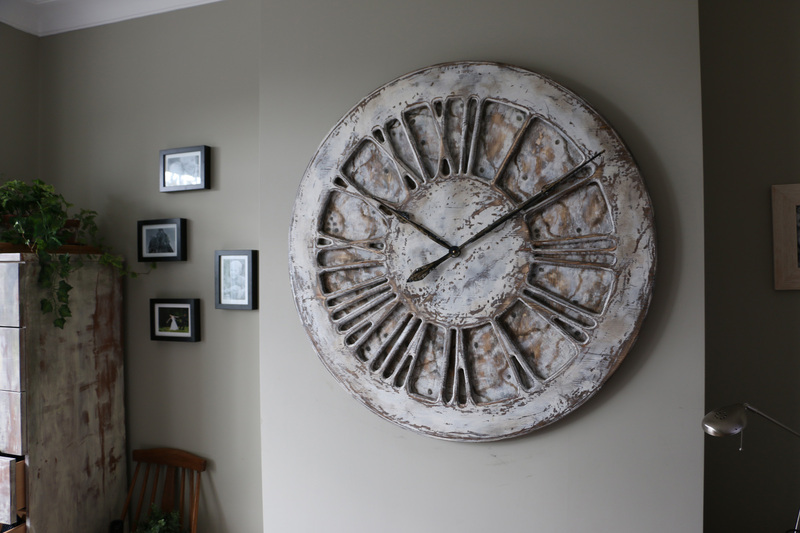 Are you looking for something extraordinary to fill that large empty space on your wall? 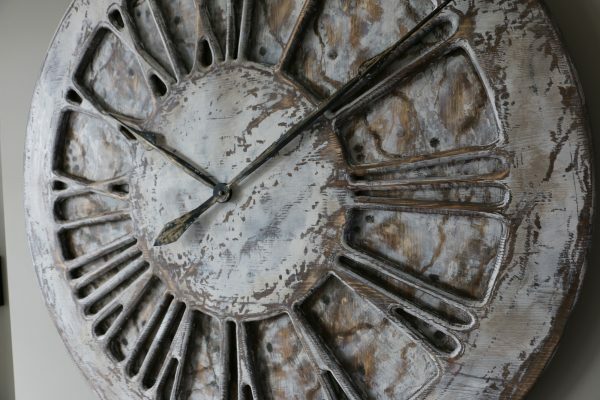 If you are then perhaps this intriguing clock would be something of interest. Unlike many other companies that simply manufacture identical products we concentrate on remarkable and unusual pieces. Each clock from our collection has its unique features and no two products can ever be the same. 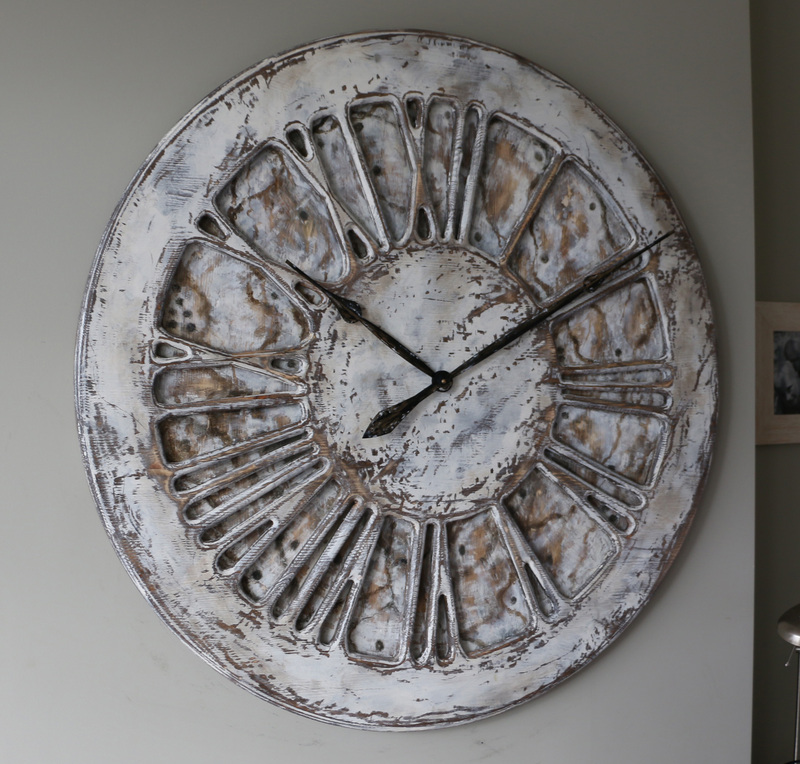 There is many other shabby chic wall clocks in our shop and we can provide each of them in three different sizes. The most popular choice is measuring 40″ (100 cm) in diameter. We can also offer 30″ (75 cm) as well as 48″ (120 cm) if this is what you need. Regardless of the size or design you select, you can be sure of the best quality and customer service. 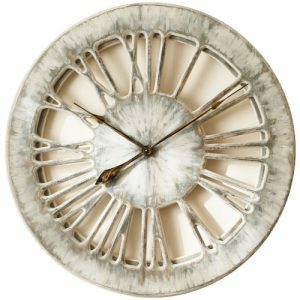 Peak Art Clocks as a brand is certainly making a strong statement in Interior Design Space. 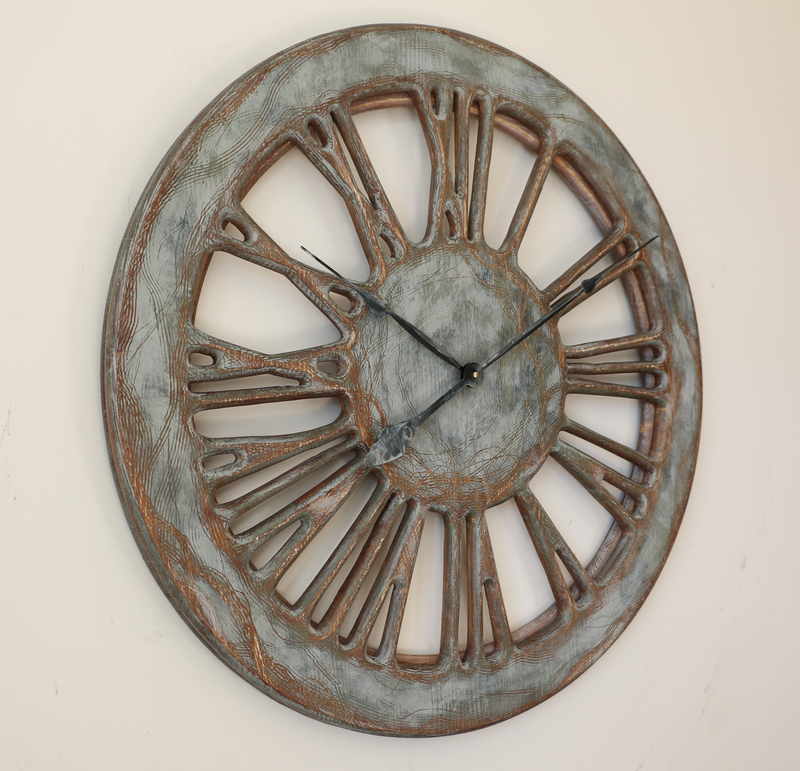 We have recently posted this article on PRWeb featuring our handmade products. 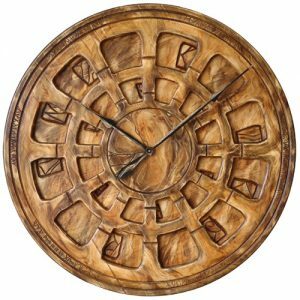 Our clocks are becoming popular not only in United Kingdom where we started, but also in Europe, Australia and United States. Don’t follow old trends and challenge accepted thinking. You no longer have to chose between large paintings or mirrors when it comes to wall decor. 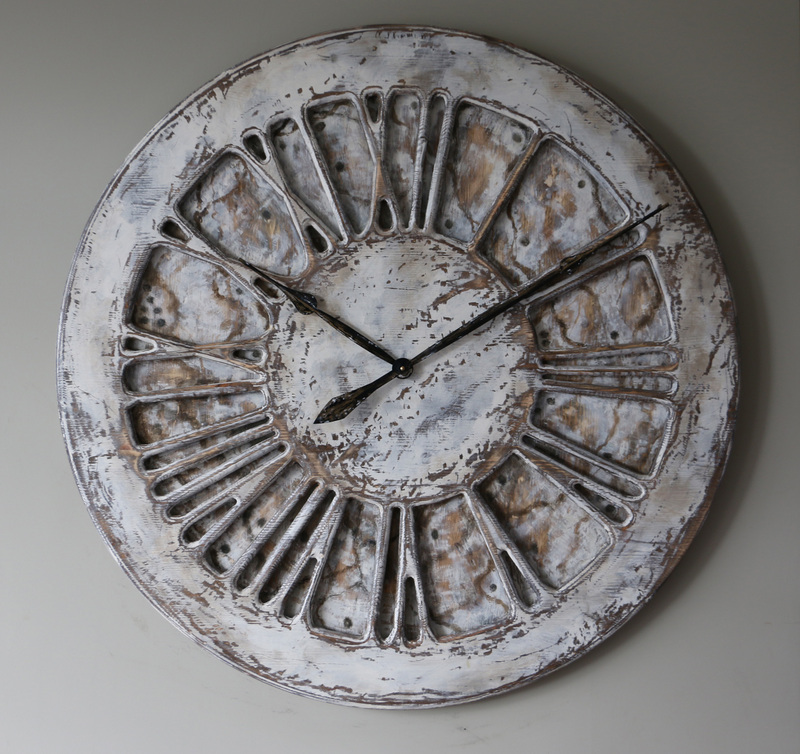 The most beautiful wall clocks from our shop are not only time telling devices but also stunning decoration elements.